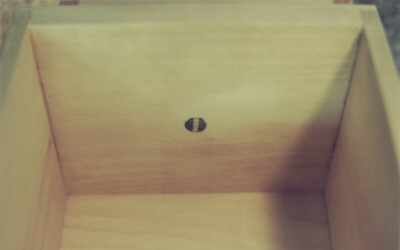 All four sides of every drawer are solid wood. The front shown here is American Black cherry , natural finish. 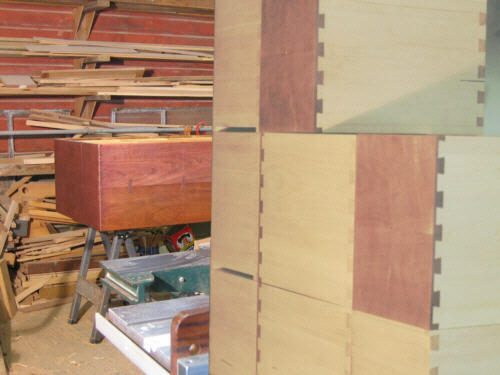 The fronts may be made of any of the various hardwoods I use. 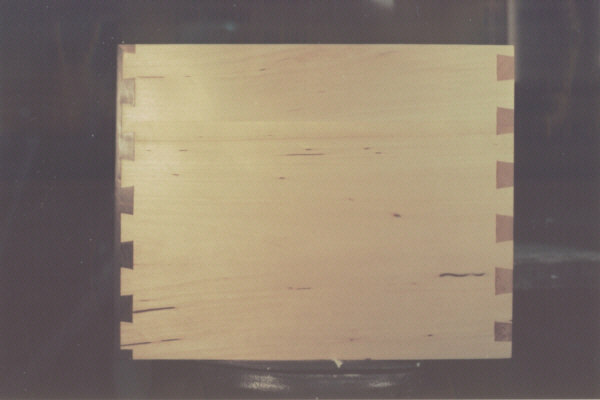 The sides and back are of high quality basswood, used for stability and light weight. Rear details also showing how the drawerbottoms slide into place. 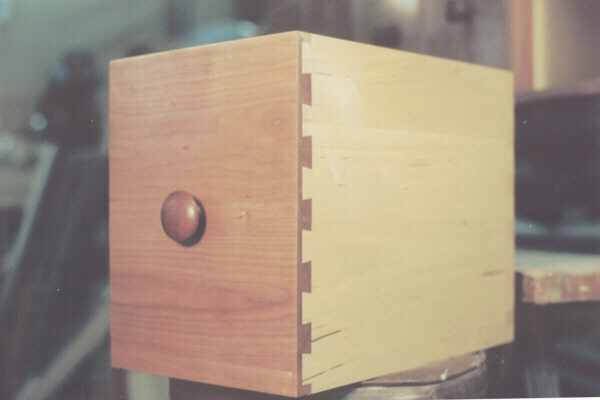 The large number of hand finished dovetailed joinery make these drawers very solidly built and beautifully made. 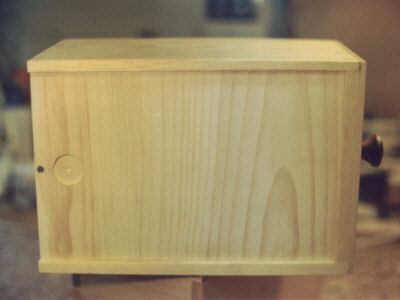 Bottom is held in place with grooves rabbeted into the drawer sides. This is a very strong design that allows the bottoms to expand or contract with the seasons without splitting. 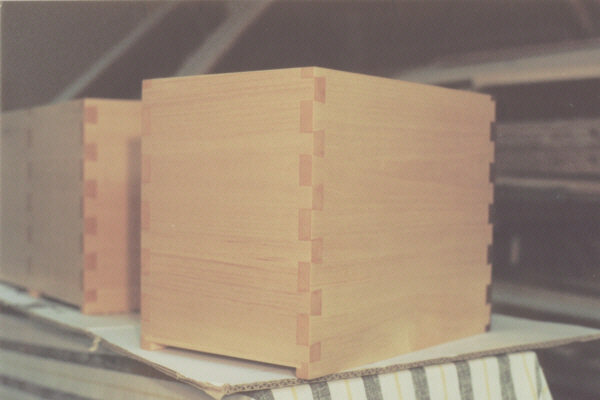 They may be made of poplar or aromatic red cedar for extra protection from moth damage.